Dear Friends, how are you? I hope life has been good to you! I’ve had a relaxing break, accomplished some tasks on a to-do list, and have enjoyed time away from the computer. I confess to have returned to Facebook earlier than blogland, simply because I haven’t been writing. I think my muse started her holiday vacation early and I just hope she comes back soon! I couldn’t wait to return until after the holidays, as I’ve missed you all, but it’ll be a slow process. I don’t even have a poem for this post, but rather a photo of what I’m beginning to do for this time of year! Sending you all virtual hugs and wishing you much Love, Peace and Happiness throughout this holiday season. Welcome back, Lauren. Delighted to see you here again. Glad to hear you had a good break. Thanks, Jean, it’s always nice to take a break, but nicer to return! And I hope all is well with you, too! Thank you Lauren; life has been good (however, don’t ask my family and friends, as they may be keeping a list of my complaints). Hope you have a wonderful Christmas and the best for the New Year. Thanks, Ian, and wishing you the same! Good to hear from you again Lauren. Have a happy christmas. Thanks so much, Joe, and wishing you the same joy this holiday season! I hope all is well in your world! Yummm…thanks for the virtual cookie Lauren. 😉 So nice to see a post for you just before Christmas, you have been missed. Aww, thanks, Peg, and Merry Christmas to you, too! By the way, I love your new gravatar! 🙂 ♥ Hugs back! So nice to see that you’ve posted, Lauren, and what a lovely post too. 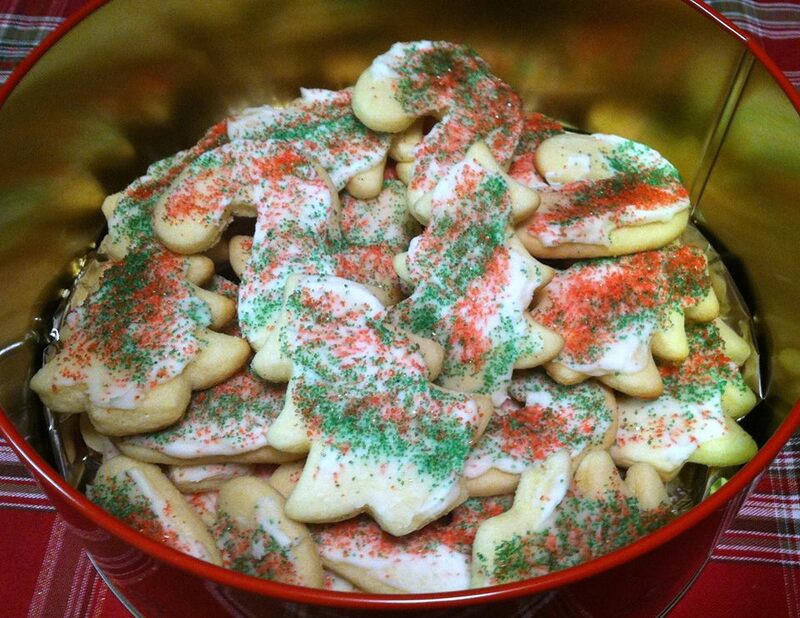 You’re very thoughtful to have shared your holiday baking with us….thank you. Hope your holidays are the best ever. Beautiful – let your day fill with joy and delightful atmosphere and shinning stars! Thanks so much, Mihrank, and I wish you the same in the days to come! My sister makes holiday cookies too. I was delighted to see you appear again in my reader. It was like passing a friends house and seeing her car at home. Hope all are well and you are enjoying the lead up to Christmas. Thanks for the hug, Sue! They’re always welcome! 😉 No, I didn’t eat them all by myself; others helped! I also baked for a couple of parties and gifts, as well! More baking to come, but I’m not as in the mood this year. My daughter will help me on Saturday when she is home for Christmas so that’ll be fun…It’s good to be back and how are you? Still enjoying your retirement, I’m sure?? Big hugs back and wishing you a blessed holiday season.. Welcome back! And Christmas cookies are a great welcome for anyone. I’ll take some of these please. Got any brownies? Always great to see you my friend. hugs. ♥ Merry Christmas. Good to see you back Lauren. Christmas day is now late afternoon here, and I cant eat any more, even though your delights are tempting. Wishing you a beautiful Christmas Lauren. I wish you could have a cookie, Penny! They’re really too good! 🙂 The break was needed but it’s also good to be back. Now, though, I have lots of catching up to do after being away for Christmas. Blogging shouldn’t be stressful but not being able to stay caught up tends to be. 🙂 Hugs!